GREENVILLE – The Greenville Business & Professional Women’s Club Public Relations Committee with members Chair Susan Fowble and members Peggy Foutz, Annette Sanders, Melissa Barhorst and Sue Huston will host its monthly dinner meeting at 6:30 p.m. Feb. 14 at the Brethren’s Retirement Community’s Brick Room. The featured speaker Desteni Mason, along with Kristina and John Heath, is co-owner of KTL Performance Mortgage in Greenville and creator of “Rising Above with Desteni Mason,” an online program designed to help women learn to “rise above circumstance” and take care of their financial lives. Mason came from humble beginnings and rose to become a financially independent at the age of 36 by creating a clear, step-by-step plan for her life. She’ll talk to guests about her story, how she “rose above” and how she has turned her experiences into a way to help women all over the world do the same. Mason completed her undergraduate studies at Urbana University, achieving dual bachelor’s degrees in business management and human service leadership. 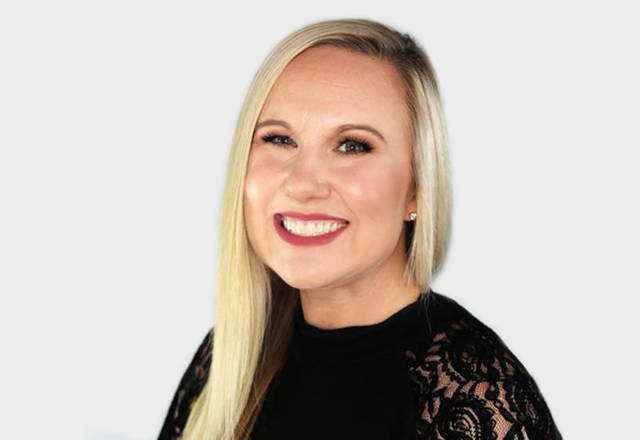 She also earned her master’s degree in business from Bluffton University while growing her company to one of the top achievers in Ohio and Indiana. In 2016 Mason was awarded the honor of being named one of Mortgage Professional America Magazine’s “42 Young Guns.” This national honor presented 42 of the brightest stars in the mortgage industry younger than the age of 35. Mason’s success is largely due to her dedication to helping others learn and succeed. She came from humble beginnings and knows what it takes to turn knowledge into life strengths and successes. She has gained great respect for her commitment to helping under-served clients or those with limited financial knowledge learn how to improve their situations. In 2017, she launched an online presence that is dedicated to helping women break through the perceived mental barriers that hold them back so they can realize their true power and potential and gain control over their lives. Rising Above is about making decisions, shifting choices and creating the right plans in the right order for achieving success. To learn more about Mason and her Rising Above programs for women, visit her website at www.destenimason.com. The Greenville BPW Club’s mission is to achieve equity for all women in the workplace through advocacy, education and information. Those wanting to know more about Greenville BPW are invited to attend the meeting. The cost of the meal is $12 with dinner to start at 6:30 p.m. For reservations contact Vicki Cost by noon Feb 11 at vcost@coxinsurance.com.